Let’s hope that God looks favorably on this marriage, and doesn’t later punish us for it. Amen to that! But come what sorrow may, it can’t offset the joy I receive from one minute of being in her sight. Just join our hands in matrimony, and Death can do whatever he dares. It’s enough that she’s mine. This line recalls the old proverb, "love me little, love me long." Such violent passions have violent ends, and often die when they hit their peak, just like fire burns the fuel it kisses with flames. The sweetest honey tastes sickly-sweet and deliciousness, but too much of it will ruin an appetite. Therefore, be moderate in your love, like a longterm love is. Love that’s too quick is just as bad as too slow. [Enter Juliet] Here comes the lady. She moves so lightly that she would never wear down stone steps. Lovers can balance on cobwebs floating in the summer breeze, that’s how lightly and carefree they travel. This line recalls the old proverb, "the more haste, the worse speed." Romeo can kiss you hello for me as well as himself. I’ll kiss him twice, so that we’re equal. Ah, Juliet, if you are overjoyed like me and you have more verbal skill to express it, then let your breath sweeten the air around us with talk of love. Let this music sing of the happiness we imagine and that we take from each other from this meeting. Romeo refers to the measurement of Juliet's joy like one would measure grain heaped into a cone shape. 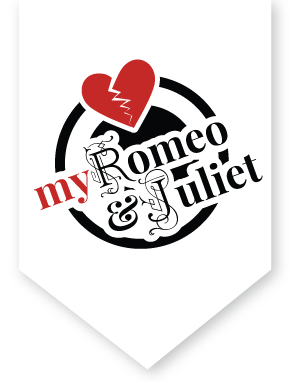 The line also refers to a measure of music which Juliet could sing to express her joy. True understanding has more substance than extra words, and talks of its content, not its appearance. Only beggars can count their riches easily, while my love has become so excessive that I couldn’t add up even half of it. Come, we’ll get this marriage done quickly. With your cooperation, you will not spend the night together until the church has united you in holy matrimony.